Brandon Turbeville: Of Course Jeb Bush Would Have Invaded Iraq! He Signed On To PNAC Six Years Before! When Jeb Bush (Jon Ellis Bush – J.E.B.) announced that, like his dimwitted and bloodthirsty brother, he too would have invaded Iraq had he been president at the time, ire was drawn in virtually all corners of the American populace with the exception, of course, of the typical warmongering Neo-Con segments. After all, how could anyone suggest that he would have also invaded Iraq despite the fact that there were never any weapons of mass destruction (a term that itself was created by Western governments and their media mouthpieces), that Hussein had nothing to do with 9/11 or al-Qaeda, and that the weakened country posed absolutely no threat to the US? How could anyone suggest that the Iraq invasion was legitimate 12 years on with American forces still involved and the situation on the ground millions of times worse? The answer is simple – Jeb Bush had always wanted to invade Iraq. A staunch and longstanding member of the Neo-Con network, Jeb had taken his stand in favor of American imperialism when he signed on to the Project For A New American Century’s Statement of Principles in 1997. Although the Statement of Principles did not specifically advocate for an attack on Iraq, it did argue against the perceived “cuts,” “inattention,” and bad “leadership” of the previous administration despite the fact that Bill Clinton acted as a complete tool of the very same network that encompasses the PNAC. This statement did, however, clearly state that America must “challenge regimes hostile to our interests and values,” a position that would become realized in an even more obvious and direct manner in the years following its publication. 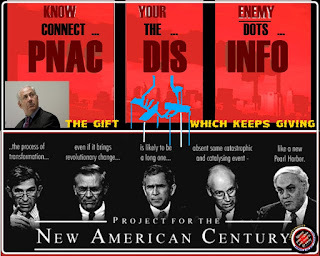 Perhaps most notably, however, is the PNAC document, “Rebuilding America’s Defenses,” a piece published by the organization in 1999 expressing the desire to destroy regimes in the Middle East that were hostile toward America’s ambitions abroad. The document was also seen as more-than-coincidentally prophetic of 9/11, a “new Pearl Harbor” style event that was alluded to in the document. Any serious effort at transformation must occur within the larger framework of U.S. national security strategy, military missions and defense budgets. The United States cannot simply declare a “strategic pause” while experimenting with new technologies and operational concepts. Nor can it choose to pursue a transformation strategy that would decouple American and allied interests. A transformation strategy that solely pursued capabilities for projecting force from the United States, for example, and sacrificed forward basing and presence, would be at odds with larger American Rebuilding America’s Defenses: Strategy, Forces and Resources for a New Century 51 policy goals and would trouble American allies. Further, the process of transformation, even if it brings revolutionary change, is likely to be a long one, absent some catastrophic and catalyzing event – like a new Pearl Harbor. Notably, in this document, Syria, Iraq, Iran, Libya, and North Korea are listed as the most important targets of the “transformed” US military. It is no coincidence that four of these listed countries were also listed by General Wesley Clark as slated for destruction per classified information he received on a visit to the Pentagon. In 1996, a policy document prepared for Israeli Prime Minister Benjamin Netanyahu was written by Richard Perle and entitled “A Clean Break: A New Strategy for Securing the Realm.” In this document Perle, a notorious Neo-Con and fellow member of PNAC with Jeb Bush, described the strategic importance of removing Saddam Hussein from power as well as the necessity to weaken Syria. PNAC also sent an open letter to President Bill Clinton after a Clinton administration and Western media propaganda campaign presenting Hussein as uncooperative in weapons inspections, calling for Hussein’s removal from power. We agree with Secretary of State Powell’s recent statement that Saddam Hussein “is one of the leading terrorists on the face of the Earth….” It may be that the Iraqi government provided assistance in some form to the recent attack on the United States. But even if evidence does not link Iraq directly to the attack, any strategy aiming at the eradication of terrorism and its sponsors must include a determined effort to remove Saddam Hussein from power in Iraq. Failure to undertake such an effort will constitute an early and perhaps decisive surrender in the war on international terrorism. The United States must therefore provide full military and financial support to the Iraqi opposition. American military force should be used to provide a “safe zone” in Iraq from which the opposition can operate. And American forces must be prepared to back up our commitment to the Iraqi opposition by all necessary means. 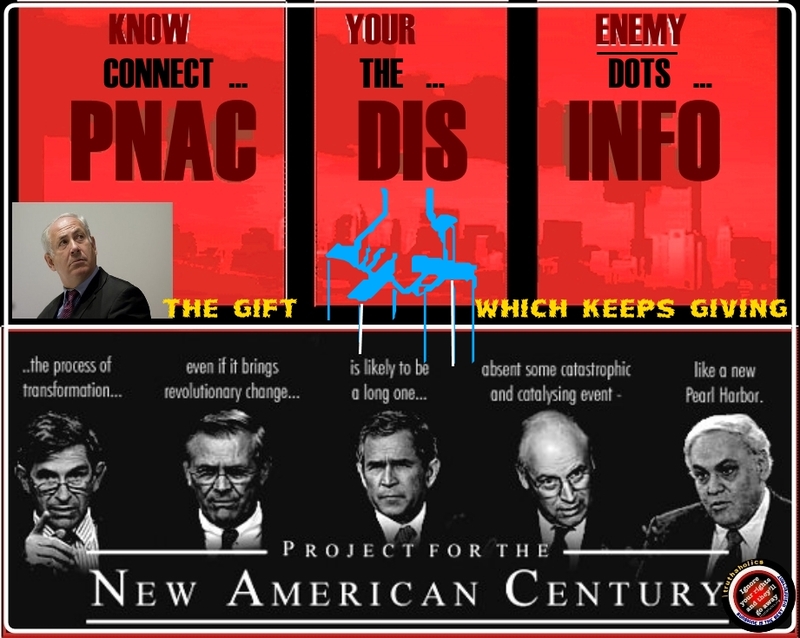 With Jeb Bush’s ties to PNAC and with his public signature on the organization’s “Statement of Principles,” there can be no doubt that Bush would have invaded Iraq had he been president at the time. There is also no doubt that he is part of the same Neo-Con network that brought us that war, the war in Afghanistan, 9/11, destabilizations, a crippled economy, and a shredded Constitution. A Jeb Bush presidency will no doubt bring about a continuation of those policies witnessed under his brother and those subsequently built upon by Barack Obama.